Typical residence floor plans are 360 square feet, including a private bathroom. 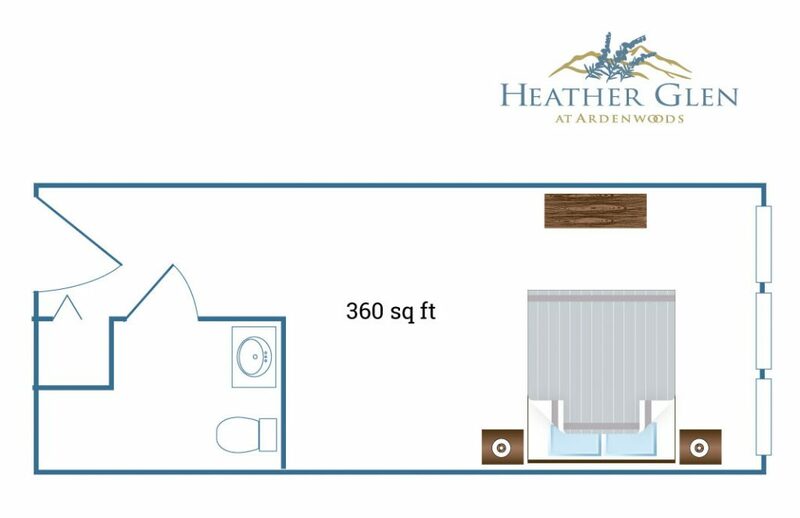 Heather Glen at Ardenwoods offers a cozy, friendly residence, unlike a“medical” environment, rather more like being at home. Our residence floor plans have been designed with an ideal blend of privacy, comfort, and services at hand. New residents are welcome to bring favorite furnishings and personal belongings to make their new space feel like home.